With so many ways to market your business now from social media, magazines, television commercials and SEO, postcards are often overlooked. Well they shouldn’t be! Postcards are still a great way to market your clothing line. Does this mean that using postcards should be your only means of spreading the word about your line — absolutely not! The truth is when it comes to promoting your collection, you need to be almost everywhere that you can. This is why postcards are still as necessary today as they were 15 years ago. In this article, I will explain why you should also market your clothing line with postcards, the information that you should include on your postcards and how to come up with a a distribution plan for your postcards. First let’s discuss what you need to have on your postcards. What you have on your postcard is very important. Believe me, I have seen some bad postcards that lacked essential information. Your postcard will not be one of them after reading this article. Here is a checklist of the 13 most important things to have your clothing line’s postcard. Try to include as many as possible where applicable. A great photo of something from your collection that represents your line or a new piece that you have or about to release. 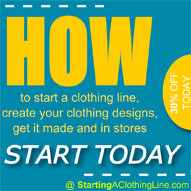 Once you have your postcards made – it is time to market your clothing line. You should have the mindset that you want to give your postcard to anyone that will take it. You never know where your customers will come from or who may pass your postcard on to one of their friends because they loved your featured apparel. Here are some ideas on how to distribute your postcards. What can postcards do for your line? Postcards help you show up in real the world. They reach people who can pick them up and really get a feel for your line. Make sure you cards are classy and that they really represent your line’s image. They are a representation of you after all. Unless you are a lingerie line, you want to make sure your postcards are family friendly. The better your postcards look the better the impact they will have on potential customers. You want to make them look so good that they are impelled to take action. The first action they will take is deciding to keep your postcard rather than throwing it away. The 2nd action will be to follow your call of action you presented on the card or share your postcard with a friend. They could also just keep it around so they can retrieve it when they have some free time. All of these responses are great. Once a person has come in contact with your brand, the next time they hear of it or see it — they will be reminded, “Oh I heard of them.” This could lead to a potential sale or them joining your online mailing list. If you need help designing your postcard or need recommendations on where to get them made let us know. We would love to help. Even if you want us to look it over once you design it to get our feedback. Our team can also help you design your postcards – that is a service we offer. In close, postcards are a must. I hope you see the benefits of marketing your clothing line with postcards. It is definitely an inexpensive avenue that still packs a lot of punch. Remember you should work just as hard offline to promote your business. Don’t let the easy nature of posting on the Internet be the end to your promotional activities. Keyword here: BE EVERYWHERE! 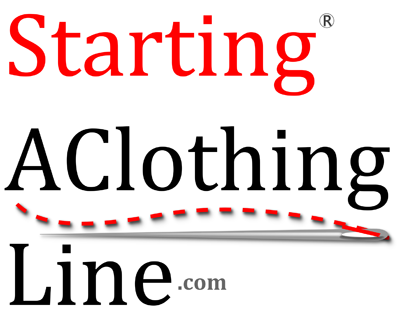 Learn more about marketing your clothing line, starting your clothing line and designing your clothing on our SCL Blog.